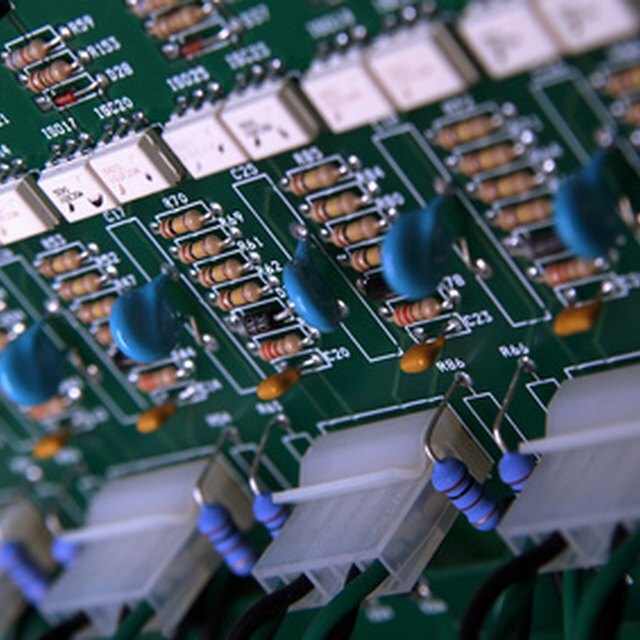 Lasers, light emitting diodes (LEDs) and superluminescent diodes (SLDs) are all solid-state light sources with origins in the mid to late 20th century. The once-exotic laser is now a household item, although usually hidden deep inside video and CD players. LEDs are ubiquitous, inexpensive and energy-efficient, having a wide range of applications including car taillights, clock digits and panel indicator lamps. SLDs have characteristics of both LEDs and lasers, but unlike them produce a broad range of colors. Lasers, LEDs and SLDs are all variations of the diode -- a joined pair of silicon-based materials, one electrically positive, the other negative, containing traces of arsenic, gallium and other elements. As with other types of diodes, these devices conduct electricity in only one direction; in addition, they also produce light. A laser amplifies the light by having the silicon inside a parallel pair of mirrors, one of which allows a small amount of light to escape, producing the beam. An SLD is somewhat similar, using a device called an optical waveguide to amplify light, but without mirrors. An LED is the simplest device of the three, using only the silicon junction's glow as a current passes through it. Unlike nearly all other light sources, a laser produces light waves that are all in phase, a property known as coherence. This means the light waves in a laser have crests and troughs that all line up at the same time, like soldiers marching in formation. LEDs and SLDs produce conventional, incoherent light, which is more like foot traffic on a busy city sidewalk. Coherence is useful in holography, the three-dimensional images created with laser light, as well as interferometry, which uses light wave interference to accurately measure extremely small distances. The bandwidth of a light source is the range of wavelengths it produces. Lasers and LEDs are both monochromatic, producing a single color; laser light is a single wavelength, while LEDs produce a very narrow range centered on one particular wavelength. The bandwidth of an SLD depends on the device -- some are about as narrow as an LED, others are much more broad, although not as broad as sunlight or incandescent lighting. An LED produces light at a wide angle from its silicon junction. To improve brightness, a lens in some LED designs focuses the light in a narrower range. SLDs produce light in an arc of about 35 degrees. 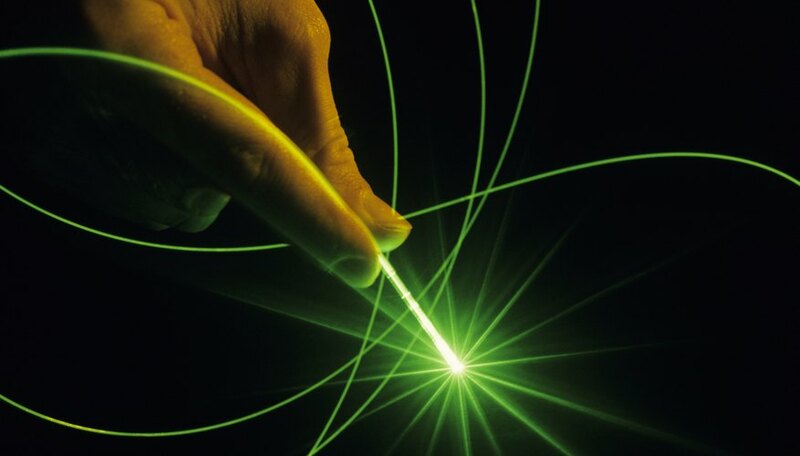 Laser light is collimated, meaning it spreads out very little on its own, keeping a narrow beam. If needed, lenses can focus laser light to a tiny pinpoint or spread it into a broad angle. Papiewski, John. "Difference Between a Laser, a LED, & a SLD." Sciencing, https://sciencing.com/difference-between-laser-led-sld-22992.html. 25 April 2017.